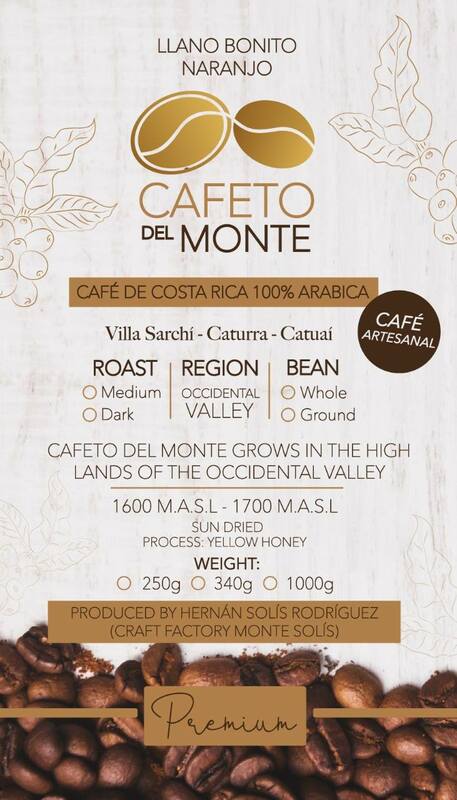 Welcome to Cafeto Del Monte, bringing you hand crafted coffee from a family farm in the mountains of Costa Rica. Join in the quest to give you the world's best cup of coffee! As a thank you, we'll share our guide to brewing coffee using the traditional Costa Rican chorreador pour over brewing method. When you drink a cup of Cafeto Del Monte, you become part of the story of family-owned farm that has been obsessed with producing premium coffee for over a century. Tradition, honor, and hard work is what the family inherited from their well-respected grandfather, who cared for the farm and made it what it is today. Three generations have passed and now don Hernán has become the artist. He pours so much passion into his love for great coffee that he decided to take full responsibility for the whole process. He knows his coffee is not to be mixed in a large factory with lower quality beans. Hand-selection, after the beans are roasted, culminates an exquisite effort to give you the best cup on your table. We invite you to enjoy our coffee and share in the story of don Hernán and his family. Join our quest to provide you the world's best cup of coffee, and we'll share our guide to using the traditional Costa Rican chorreador pour over brewing method.